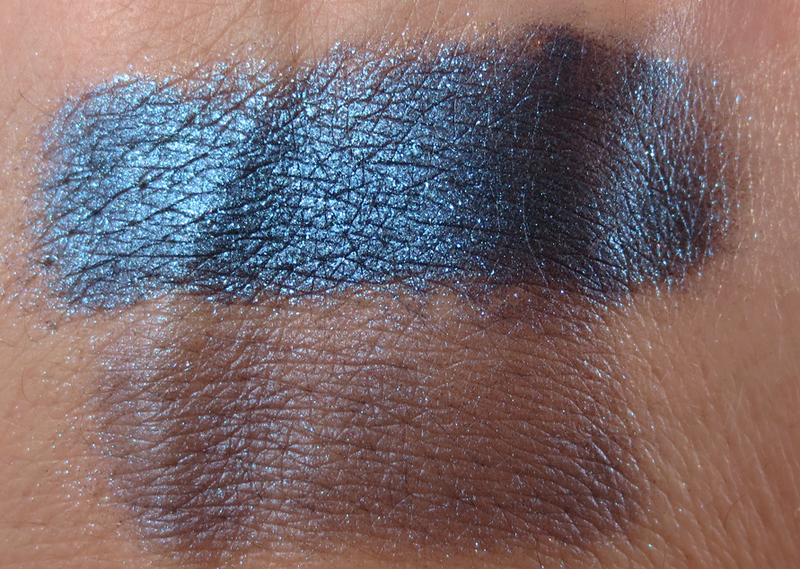 Over the last month you might have seen me mention finding my absolute favorite eyeshadow base, Whip Hand Cosmetics Eye Creme in Thermal. It is high time I share this amazing find with you! 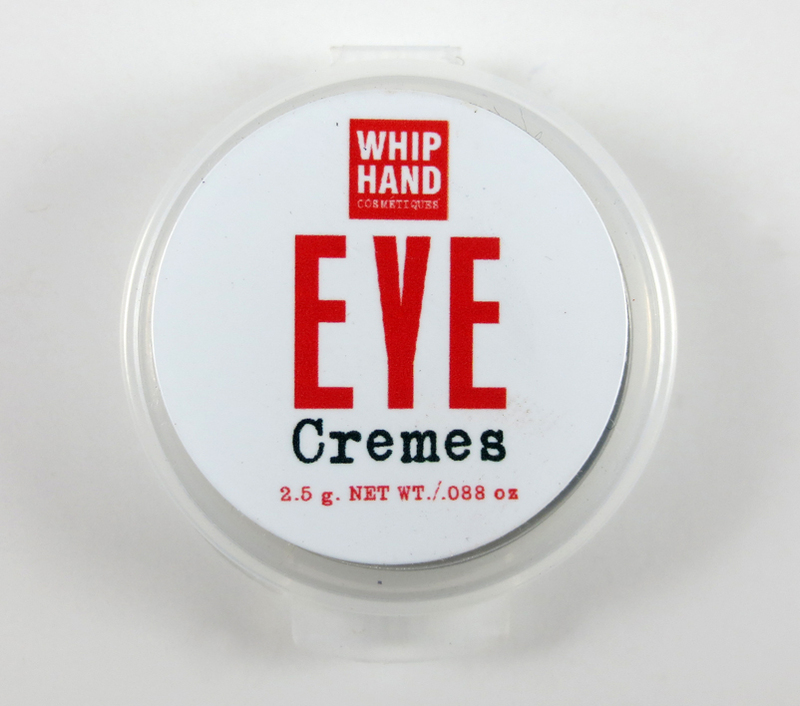 Whip Hand Cosmetics is line of premium-quality cosmetics developed and produced in Detroit. Whip Hand advocates confidence, strength, independence, intelligence and personal style. I've followed Whip Hand from the beginning and I love sharing their phenomenal products with others. 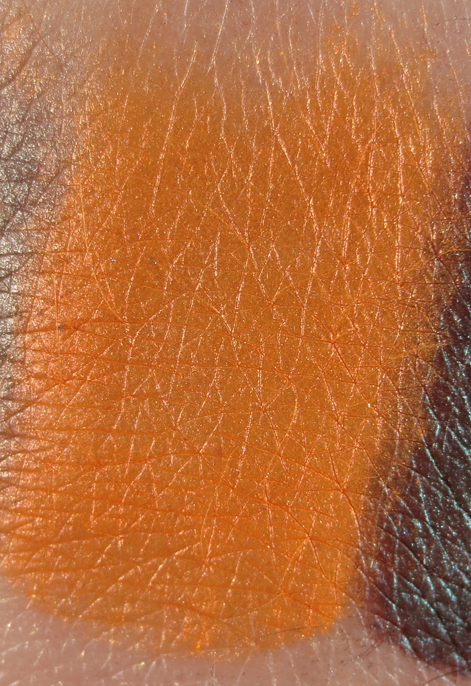 This is a swatch of Whip Hand Eye Creme in Thermal. 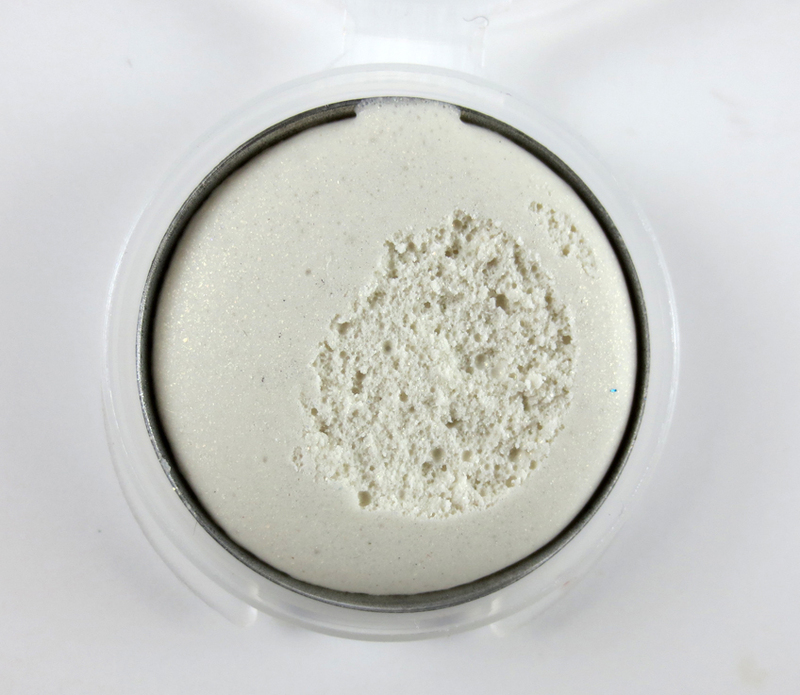 In the pan Thermal is a creamy white with gold sparkle. 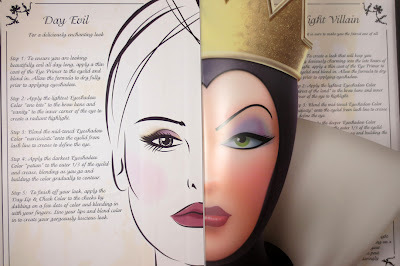 Once you apply this to the skin, it is essentially transparent, leaving behind a faint dusting of golden shimmer. So what does this product do? It makes bad shadows good and great shadows AMAZING! I've compiled a series of photos to show you what this product is capable of. I hope you are all as excited as I am! 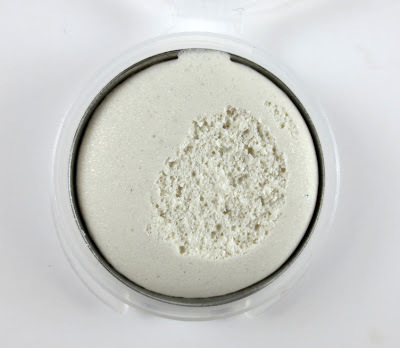 I picked up a few of these Fresh Mineral shadows on clearance and was totally underwhelmed. 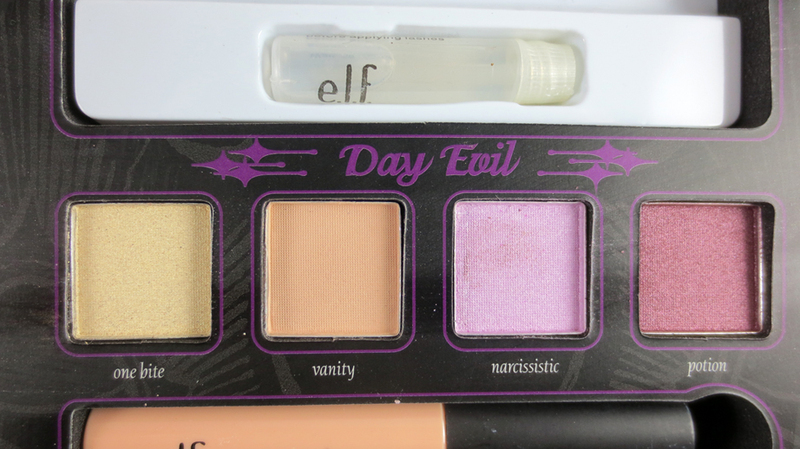 Dry, hard, no pigmentation. I had no use for them, until I found Thermal. Check it out. 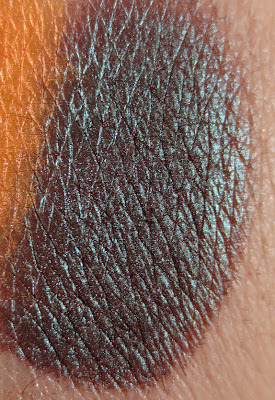 The top swatch is Wondering Eyes over Thermal, the bottom swatch is Wondering Eyes over Too Faced Shadow Insurance. Pretty amazing change. 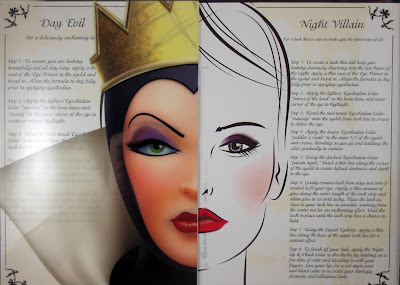 Here is another example using the recently released E.L.F Disney Villain Palettes which suffered a serious lack of pigmentation. Top swatch is Peddler's Cloak over Thermal, the bottom is Peddler's Cloak over Too Faced Shadow Insurance. Again, pretty amazing. 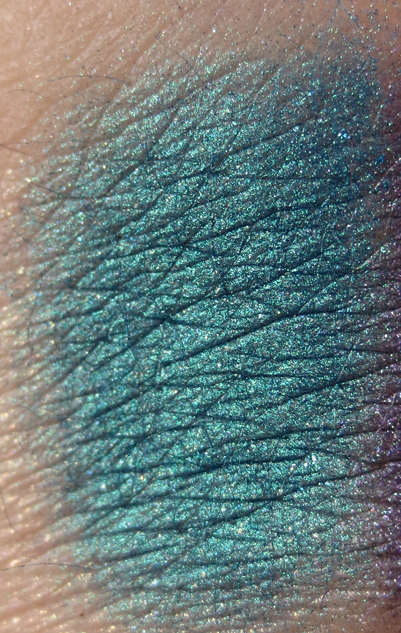 I picked up a few BFTE blue glittery shadows recently that we unremarkable over primer, but look great wet. I wondered how they would look over Thermal. 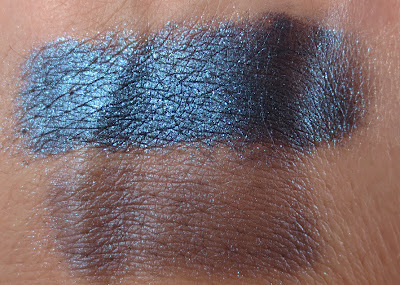 Top swatch is Blacklisted over Thermal, the bottom is Black Listed over Too Faced Shadow Insurance. Wow. 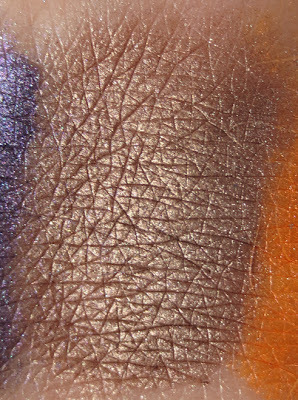 So we've seen how Whip Hand Eye Creme in Thermal can overcome a lack of pigmentation. So what does it do for great shadows? 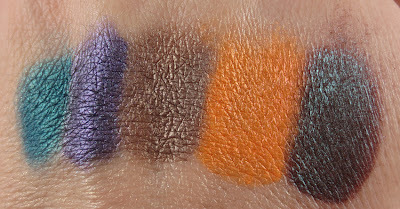 Here are my Whip Hand Loose Pigments swatched over Thermal. 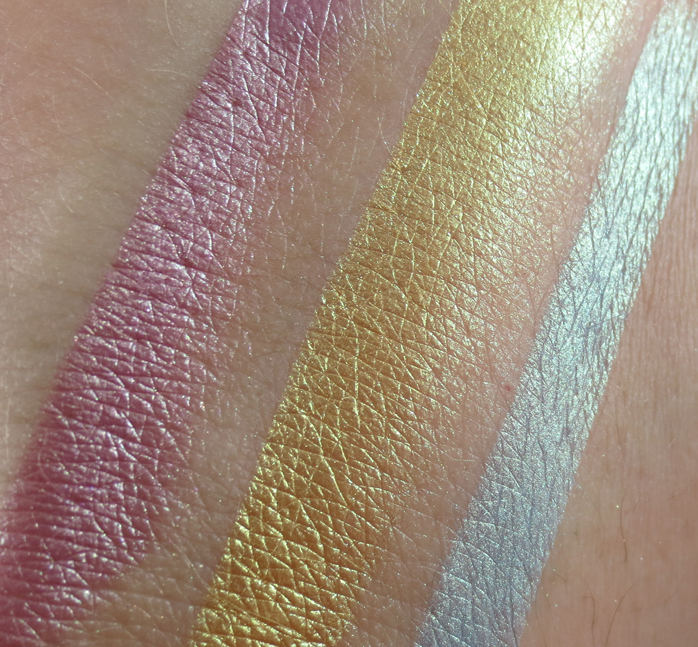 Whip Hand Pigments on their own are luxurious and very pigmented, but even these great shadows benefit from the quality of Thermal. 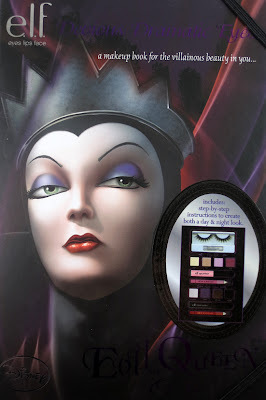 How does it work with Mattes? 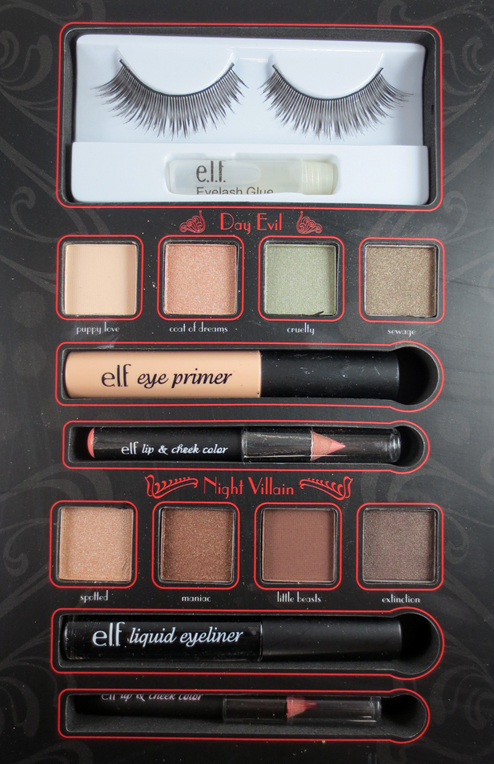 The only reservation I had about the product was using this with a matte shadow. 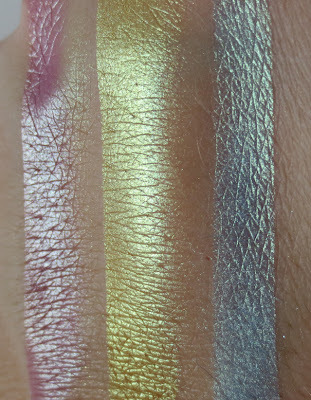 Since there is gold sparkle deposited on the lid, I was afraid it would conflict with mattes. Here is what happens. This is BFTE Mississippi Mud over Thermal. Thermal leaves the mattes finish 99% intact. 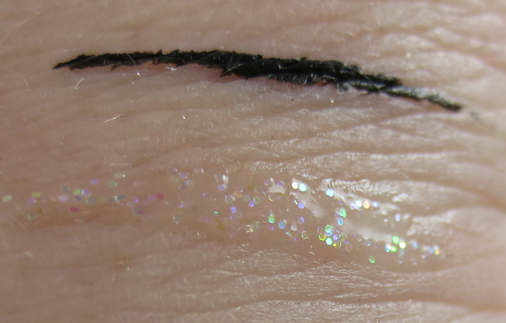 If you click on the photo and look at is closely, you can see a minute trace of sparkle, it is not visible on your eye. 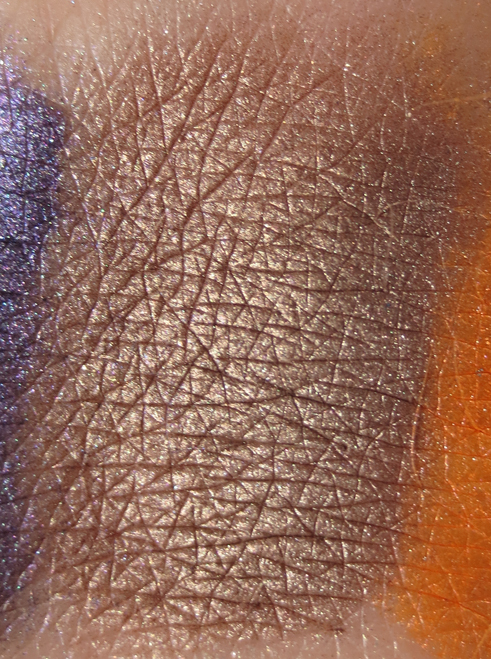 I've found other sticky bases can pull the matte apart and leave it looking patchy and gross. Not Thermal. 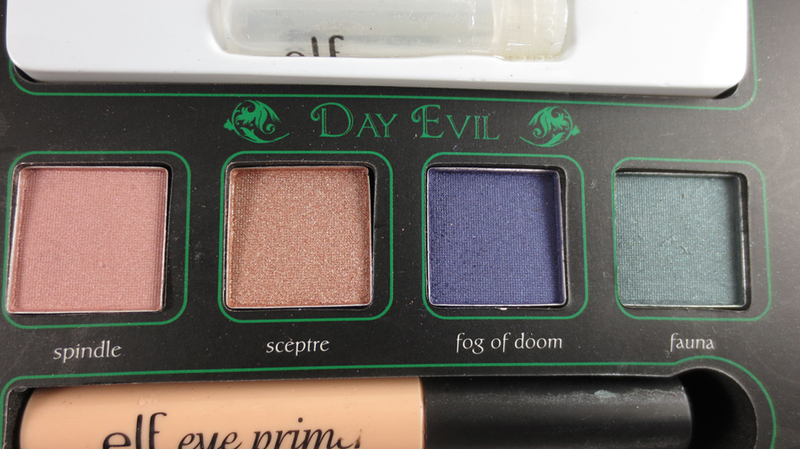 Thermal comes in hand poured 3oz pans that fit all standard palettes. 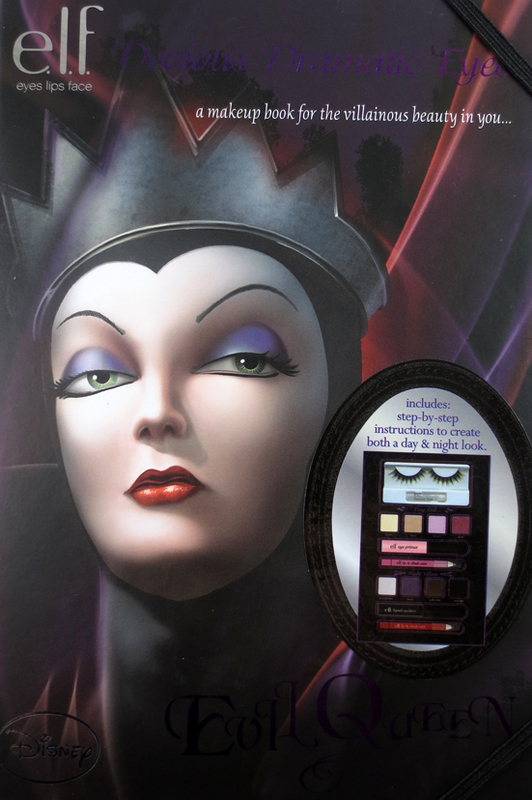 It is easy to use, work the product with you finger to warm it up, this makes it easy to apply across the lid. With more pigmented Eye Cremes like Corset, I apply the shadow with my finger and buff it a bit with a brush. With Thermal you can skip the buffing, since it applies transparent. A little goes a long way so a pan is going to last. The final thing that takes this product from amazing to legendary is the ability to blend shadows after placing them over Thermal. Earlier I mentioned how hard it was to blend shadows used over Pixie Epoxy. In my experience, once that shadow hit the Epoxy, it is locked in place and nothing short of brute force or an act of God is going to blend it. 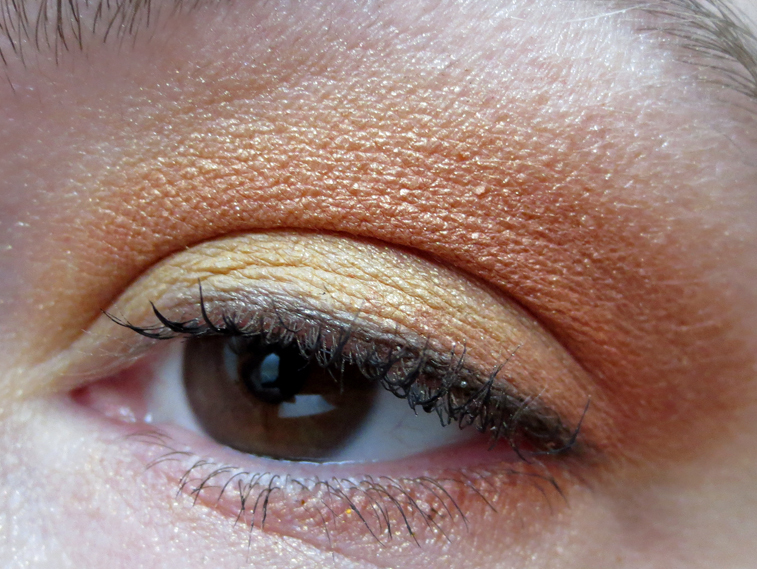 A few times I glued my eyelid to my brow bone, which is always attractive. Thermal is the exact opposite. 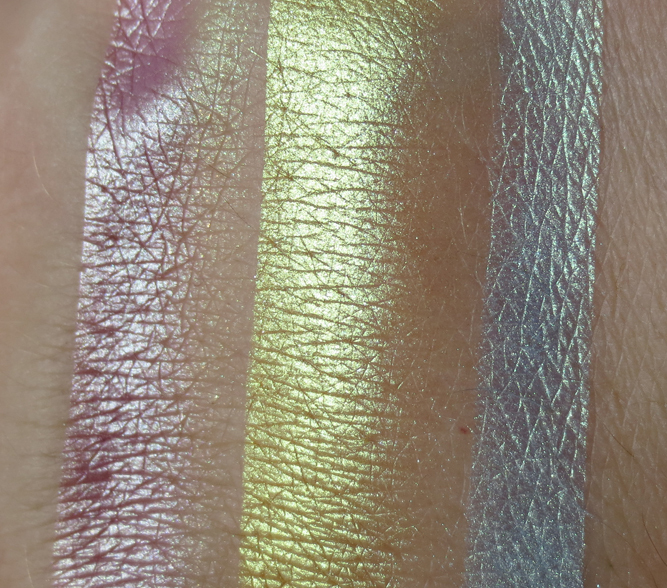 It grabs the color, it pulls out the shimmer, shift and nuance just like Epoxy, but you can still move the shadow around. I never feel like my color is in lock down. You can blend and soften the color as needed, in most cases, without losing the complexity the product provides. 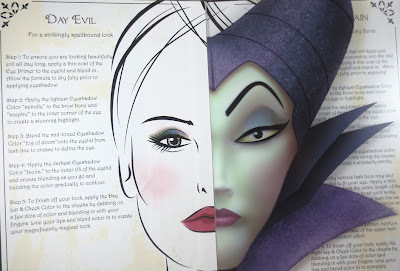 Even with this flexibility, it keeps your shadow in place, free of fading and wandering. I love using this under my eye since it keeps my lower lid shadow from migrating onto my cheeks. I can't say this product leaves me entirely crease proof, but it is close. 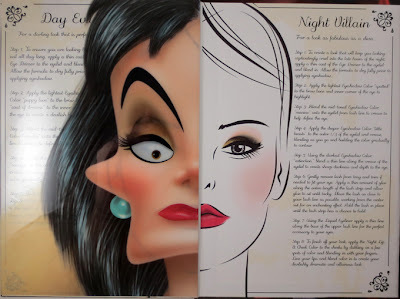 I still use Too Faced Shadow Insurance under Thermal to combat creasing. If you are prone to creasing, I suggest you do the same. 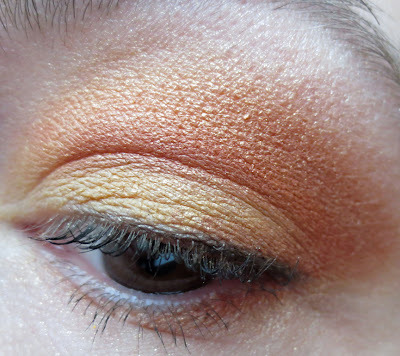 If you have dry lids, not naturally prone to creasing, you are going to be just fine. On it's own, Thermal keeps me 80% crease proof, which for me is good. 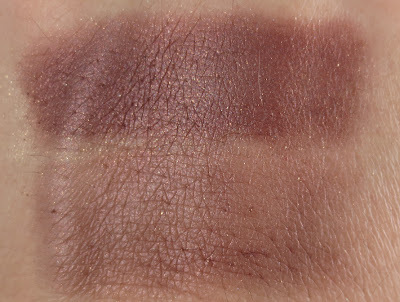 When used with Too Faced Shadow Insurance, it is 99.9% My color looks exactly the same 8 hours after application. No fade, no crease, no migration. Do you see why I am in love??!!!! 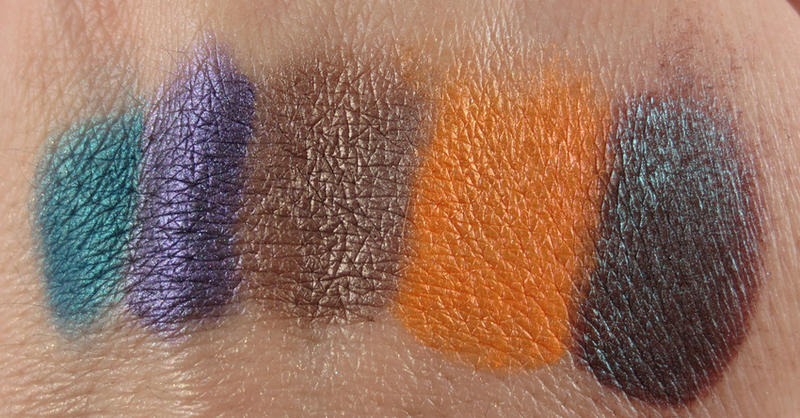 Whip Hand has over 20 colors of Eye Cremes to choose from, I own four and they all perform just as well as Thermal. 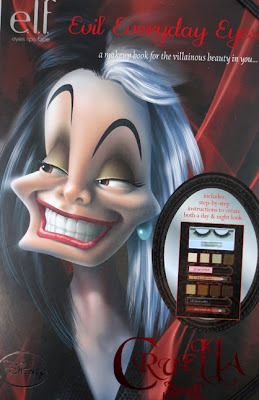 But if you would like to try one out and you want something that works under every color and every finish, get Thermal. You will not be disappointed. 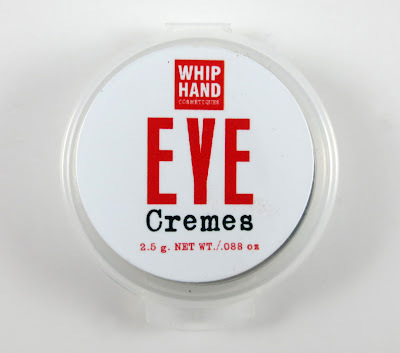 Whip Hand Cosmetics has free shipping with no minimum within the US, International Shipping does not exceed $10. Please note, these products are hand poured so there may be imperfections in the surface of the product (the product above was poured a little over full and some stuck to the lid) it has no effect on the quality of the product. Today I wanted to do a bright, punchy look and I rediscovered my favorite orange/yellow combo. I wore a similar look throughout the summer. 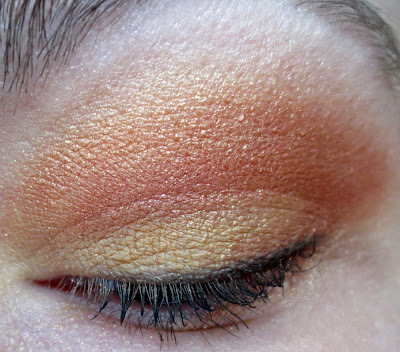 I believe orange and yellow do not get the love they deserve! Which colors do you think are under appreciated.? 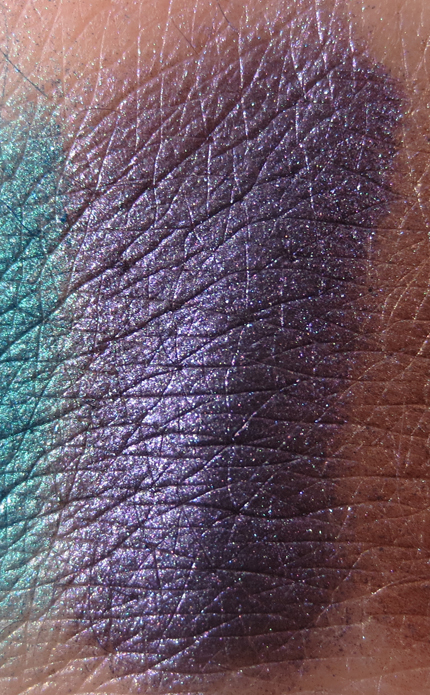 BFTE and the Elusive Duochrome. I am about to do the impossible....photograph bigfoot a duochrome! I've held onto these shadows a criminally long time working on photographs that would do them justice. 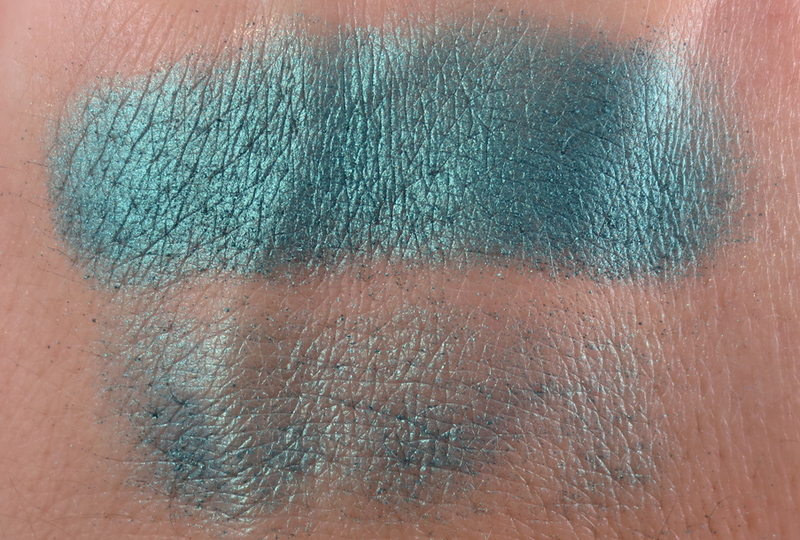 I was going to swatch them over a black base to show the effect, but I never wear them that way, so I will try to show you the shift au naturale. The following is a break from my usual format and constitutes serious effort on my part, so you better like it! The three shadows I am showing you are Dew Drop, Mermaid, and Splash. 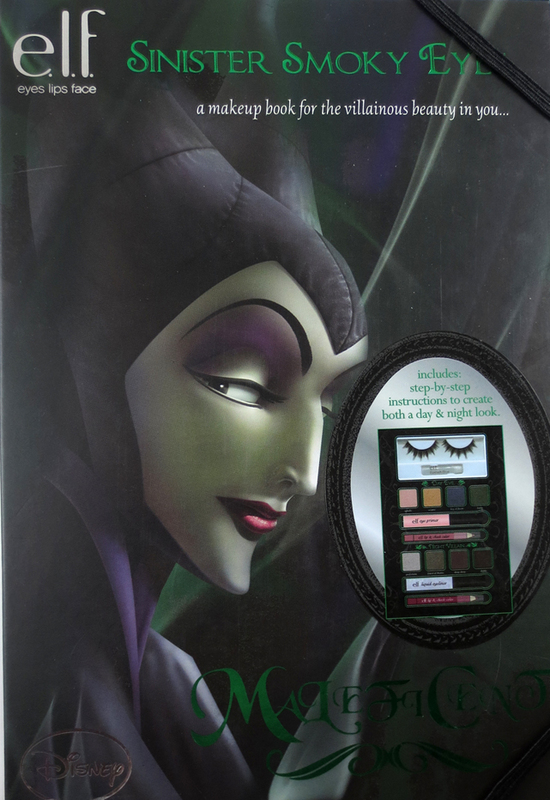 Dew Drop is a deep rosey pink with a golden green shift. 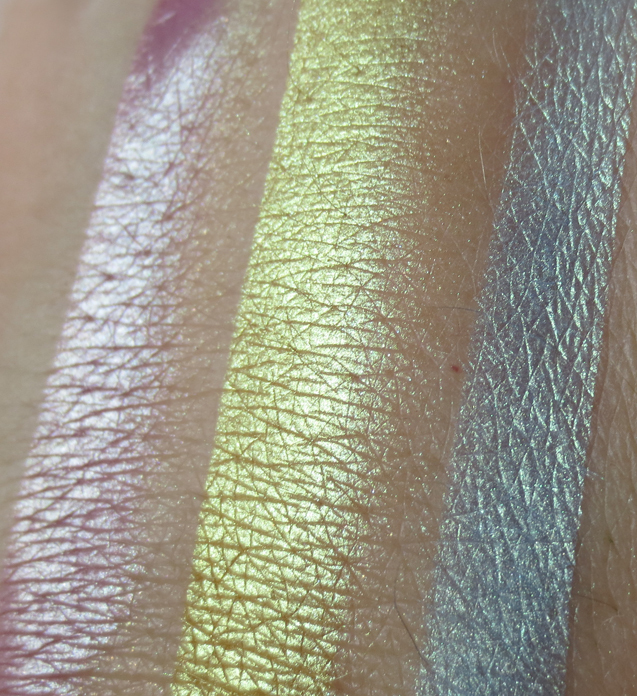 Mermaid is a golden lemon yellow with a strong green shift. 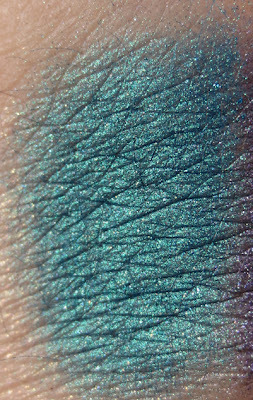 Splash is a powder/baby blue with a green gold shift. Here is another picture of the shadows in their "natural state"
The base you choose will dictate the amount of shift from subtle to OMG my blue shadow is now green!!! 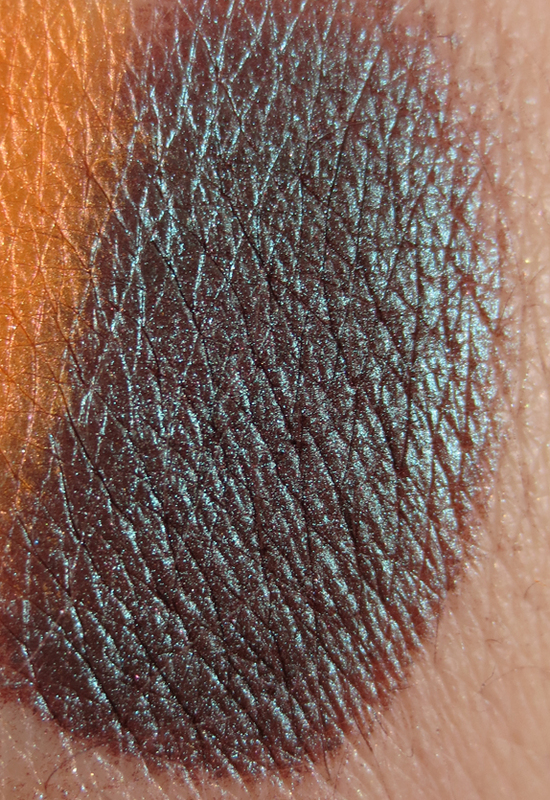 BFTE has a great selection of these shadows listed on their site under Duotones. 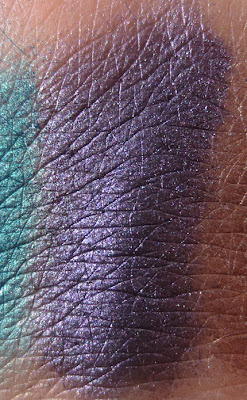 I've never met a duochromes I didn't like, but Mermaid is one of the most useful and stunning duochrome colors. 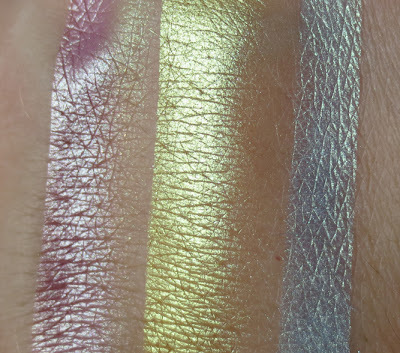 If you are new to BFTE duotones, I would start with Mermaid, you can also check out the Two Faced (Duotone) Get the Look Set, which includes Beautiful, Dew Drop (pictured above) and Riddle. Can Revlon Just Bitten Balm/Stain in Romantic Break My Losing Streak? Ok....so my track record with lip products lately has been pretty damn lame. I've spent close to 40 dollars on lipsticks with roughly the same pigmentation as Chapstick. Things have got to change!!! 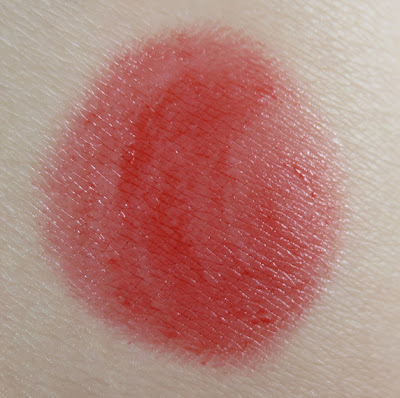 I've walked past Revlon Just Bitten Kissable Balm/Stain hundreds of times. But, I walk past thinking "Fool me once....." Well, I caved. But just this once. I looked at a few shades, but I have a thing for red so ultimately I decided to try Romantic. Romantic is a sheer tomato red. 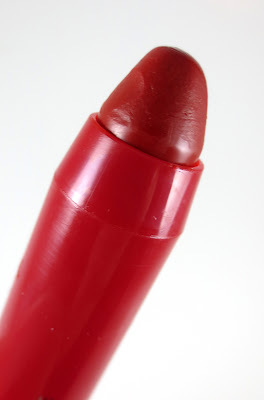 It glides on easily and leaves your lips moist and glossy. 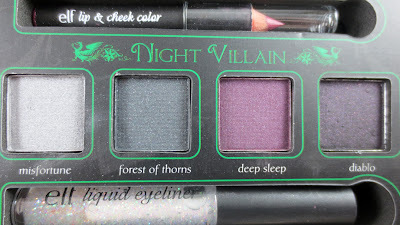 About freaking time I buy one of these balm/stains that actually has some color! As a tinted balm I think these are great. I love lipgloss pencils and that is exactly what this reminds me of. As a stain? Meh. It does leave a slight trace of color as it wears off, but it also has a tendancy to bleed and feather, which I do not enjoy in a stain. The wear time of this for me was about 2 hours. 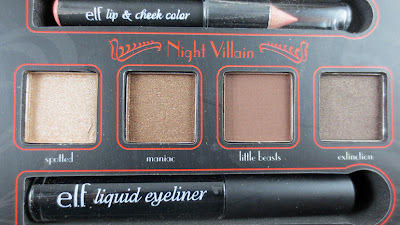 This is not a long lasting formula. I would absolutely buy more, however, I recommend using a primer or a a product like E.L.F Lip Lock to keep your glossy color on your lips. Ok, I know you guys are fanned out across the country right now hunting down these limited edition palettes from E.L.F featuring 3 deliciously evil villains: Cruella Deville, The Evil Queen and my all time favorite, Maleficent. The first part of this will be photo/swatch heavy and at the end I will give you my thoughts about these palettes. To get this up in a timely fashion I had to forgo individual color swatches. 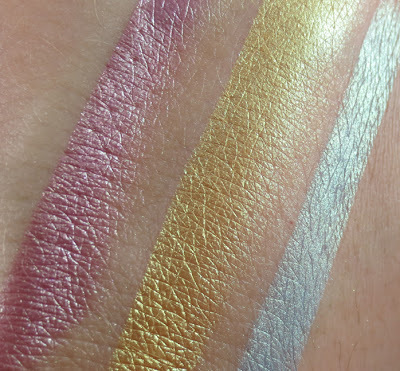 All swatches done over Too Faced Shadow Insurance. Two of the kits come with the black and Maleficent comes with the glitter liner. First off, are these worth the hell and agony many of you are going through to find these? As collector pieces or for badass novelty factor...yes, probably you would feel this was worth the struggle. 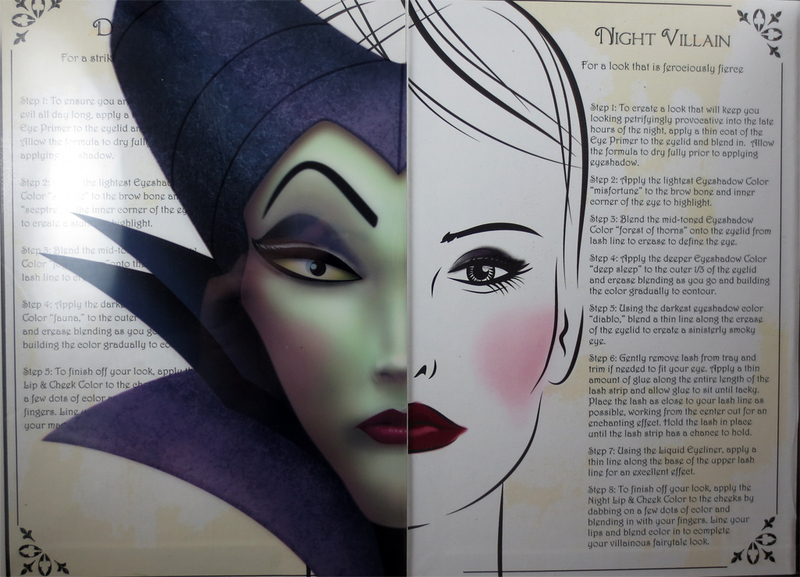 The artwork on the covers is luminous and the detail on the face charts is really quite stunning. 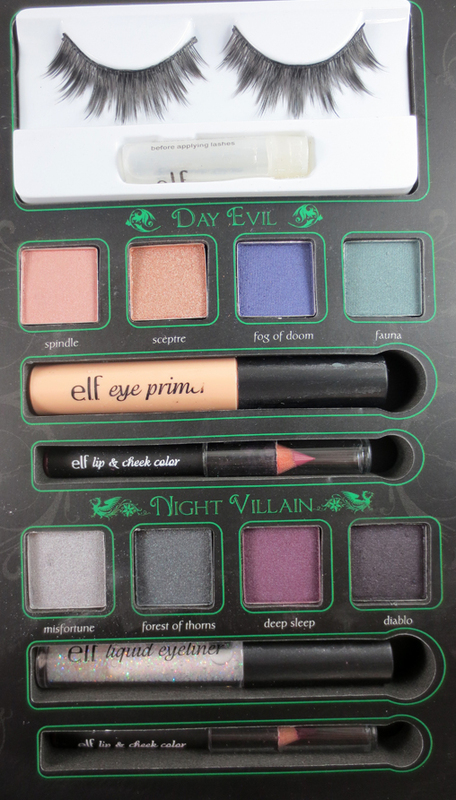 The palettes are beautiful in that regard. Quality wise? 50/50 Let me show you why. On their own over bare skin these shadows are really not that special. Over the included E.L.F Eye Primer, again, not that great. I did these over Too Faced Shadow Insurance and a few colors did well, Misfortune, Spindle, Extinction. But not enough to make this palette lust worthy in my eyes. However, E.L.F shadows do something amazing if you apply them over a sticky base. Take a look. 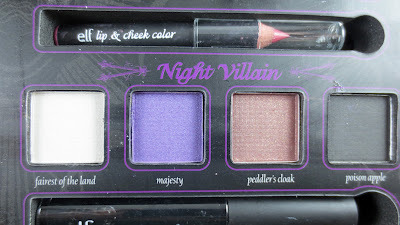 I was surprised my favorite item of all the kits were the lip/cheek pencils. They were creamy and spreadable, not dry as I expected. 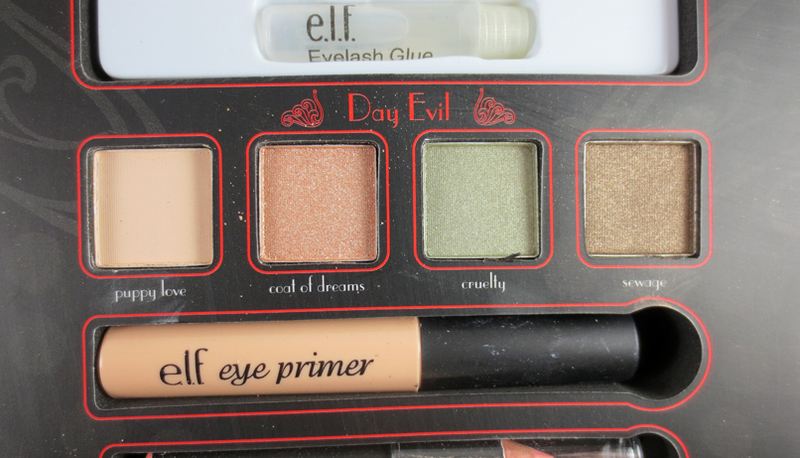 I would not use these on my cheeks personally, but I would use them all on my lips. Definitely more then just a lip liner. 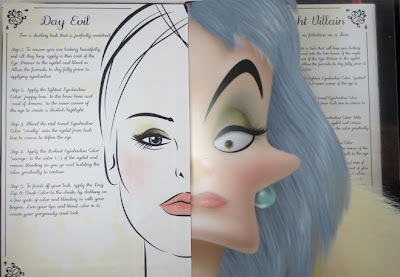 I don't use false lashes myself (lack of skill) but each set comes with a slightly different lash style. You will need to trim these, but other then that, they look fun. Quite a few of the shadows are powdery, again, not so much over a base. Fog of Doom and Majesty were particularly disappointing. On their own I don't get much fading, but I don't have much pigmentation to begin with. 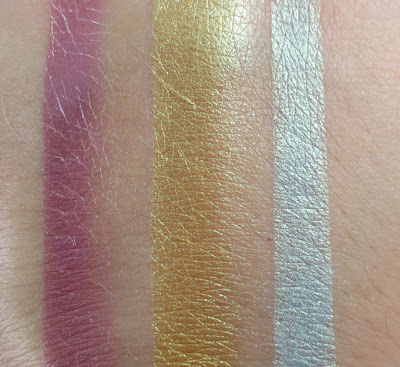 Over a sticky base (I really recommend Whip Hand Cosmetics Creme Shadows) most of these are superstars; pigmented, fade and crease resistant. All in all, I am glad I got the palettes. 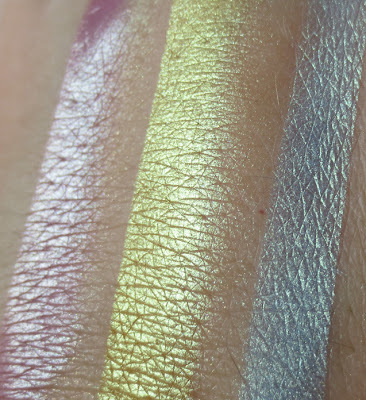 I am not sure how much I will use them, since I have dupes of nearly each color that aren't so tough to work with, but for sheer cool factor, they are worth it. 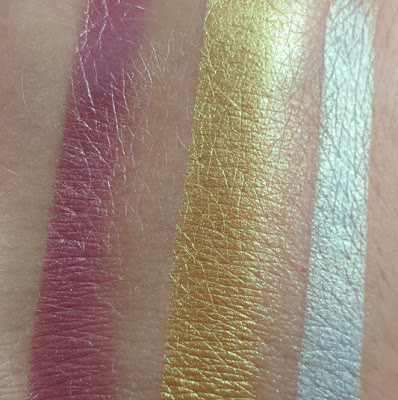 Whip Hand Cosmetics Teaser Post! Breezy Golden Summer Look with BFTE.